With the Duchess of Sussex in the last stage of her pregnancy, punters are fancying their odds on a range of bets, including the baby's gender and name. 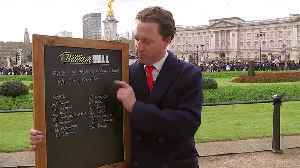 (ROUGH CUT - NO REPORTER NARRATION) With the Duchess of Sussex in the last stage of her pregnancy, punters are fancying their odds on a range of bets - from the royal baby's gender and weight to date and birthplace. One of the most popular wagers is for the couple's choice of name. 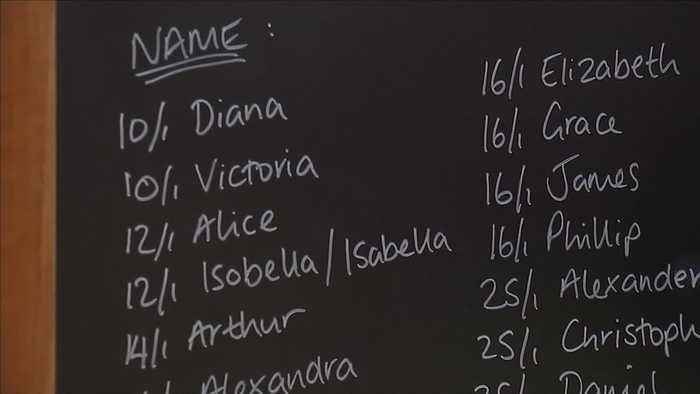 For a boy, Arthur was leading the pack at bookmakers William Hill on Monday (March 18) but if it's a girl, many expected Prince Harry and Meghan Markle to honor Harry's late mother, Diana. 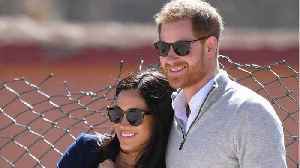 In January, Meghan told well-wishers she was six months pregnant, adding that the couple did not know the baby's gender. With the Duchess of Sussex in the last stage of her pregnancy, punters are fancying their odds on a range of bets, including the baby&apos;s gender and name. Rough cut (no reporter narration).